Our "Scenes in Trek" series continues this week with the Top 5 Scenes in a Shuttlecraft. Whether it be the classic TOS shuttlecraft or Enterprise&apos;s shuttlepod or Voyager&apos;s Delta Flyer, our TrekRanks crew navigates through it all and dives deep into their selections. Host Jim Moorhouse is joined by Thad Hait and Matt Hansen to break it all down. This kind of topic might sound like a jokey topic, but the selections are filled with heart, emotion and gravitas, just like our previous edition in this series (Episode 16 - Top 5 Scenes in a Turbolift). The Diagnostic Cycle this week quickly breaks down what&apos;s eligible for selection, and as you might imagine it&apos;s wide open: shuttlecrafts, shuttlepods, worker bees, escape pods, Kelvin pods, the Delta Flyer - whatever you think qualifies as a shuttle, bring it on. 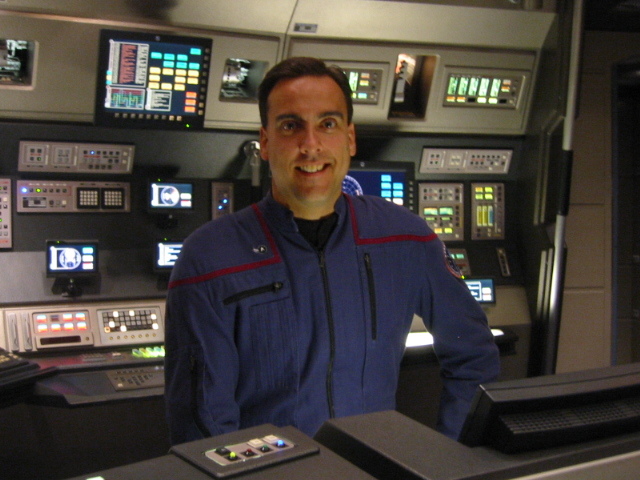 After jumping into the Prime Directive section of the show to break down how each guest defined their selections, the crew then moved into The Order of Things and revealed their "Five Word Summary and a Hashtag" for each of their Top 5 Scenes in a Shuttlecraft (and the episode in which it appeared). And in what we think might be a TrekRank first, every spectrum of live action version of Trek received a pick! From TOS to Enterprise and Discovery and the Kelvin Timeline. 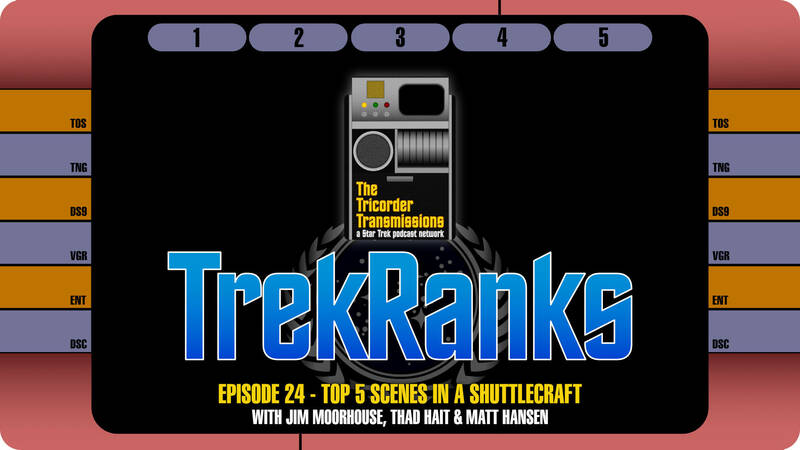 And if that wasn&apos;t enough, the Secondary Systems choices are the most comprehensive in TrekRanks history, as the hosts rattle off another dozen episodes or so to get even deeper into the topic. As always, Jim also briefly reviews some of the interesting statistical anomalies that emerged from their selections in the Regeneration Cycle.